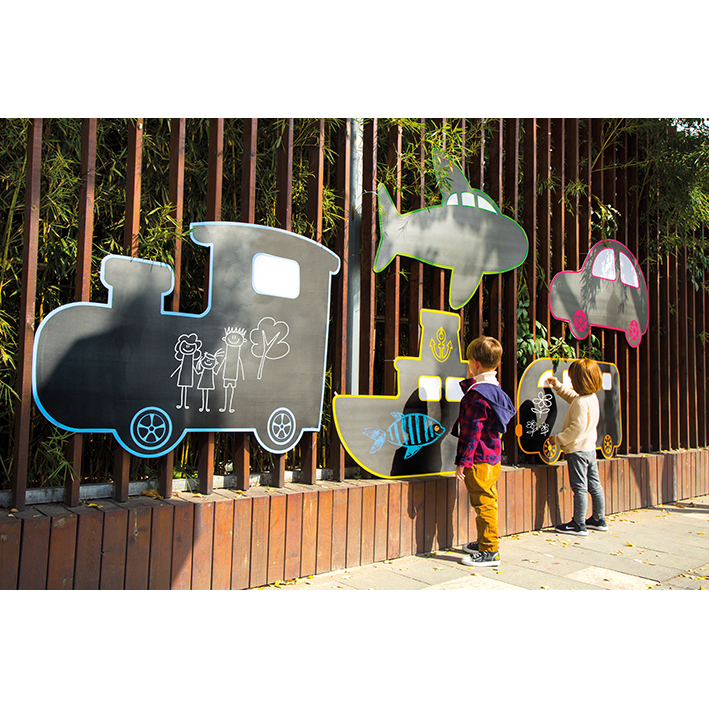 Our range of Outdoor chalkboards are a great resource to encourage children’s mark making – their first steps towards learning to write – as well as promoting physical and cognitive development. 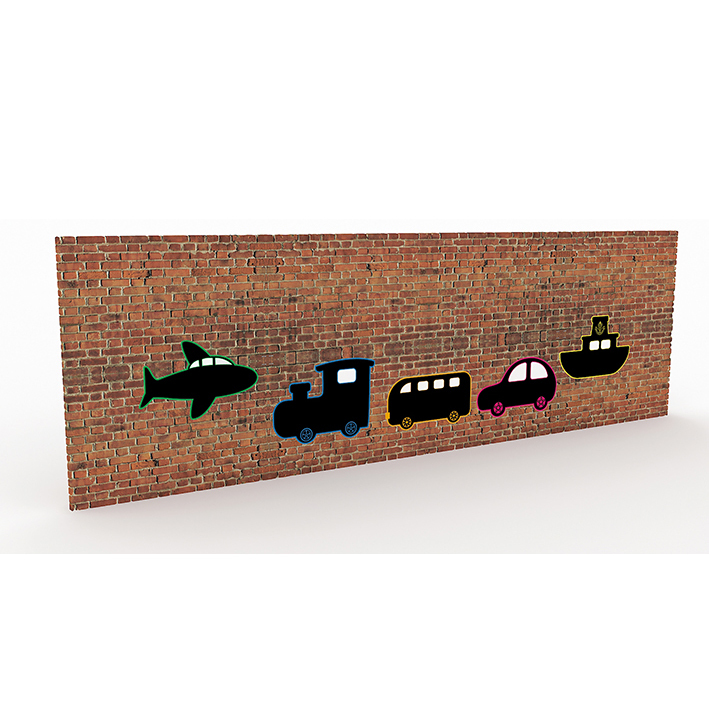 Children will love using their imagination as they develop skills across different curriculum areas with our range of boards. 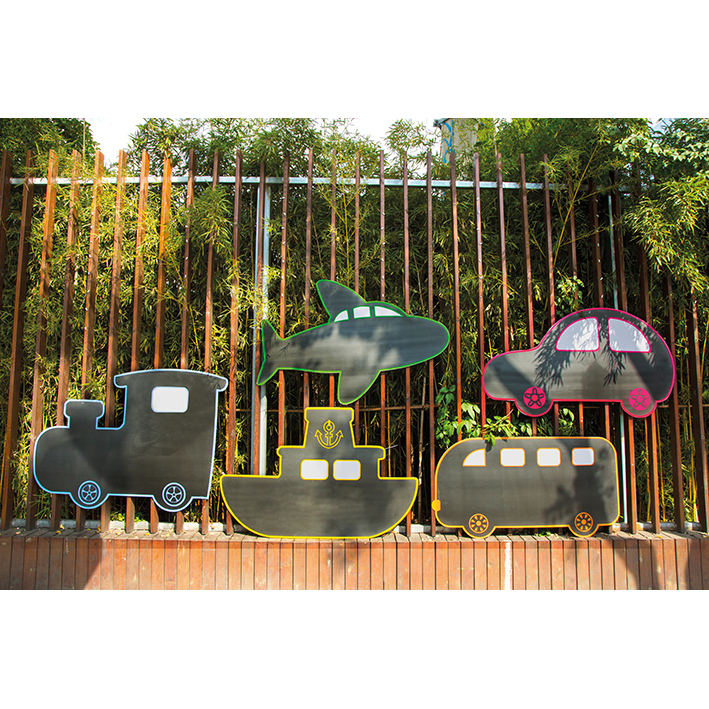 Manufactured from 3mm expanded PVC (expanded polyvinyl) – a lightweight but rigid and durable material suitable for indoor or outdoor use. 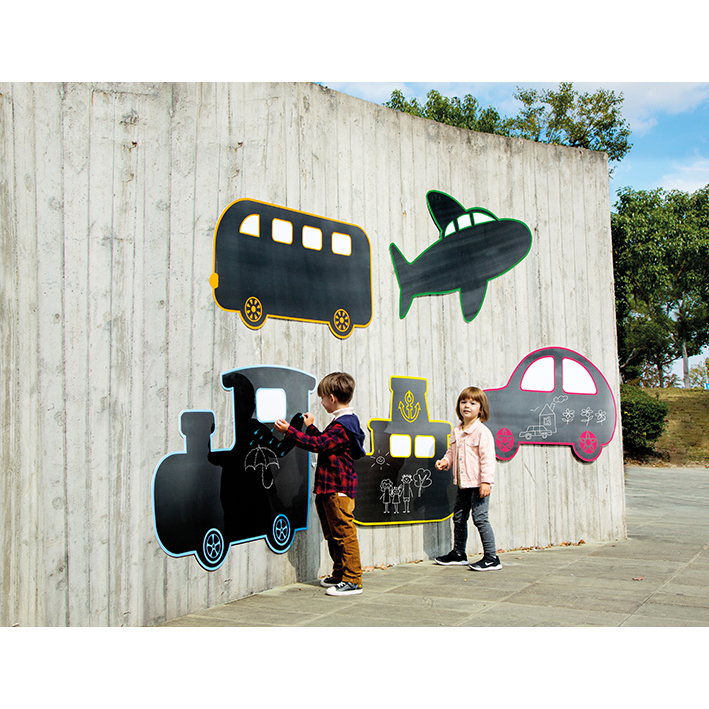 A great resource to encourage children to discuss different types of transport. 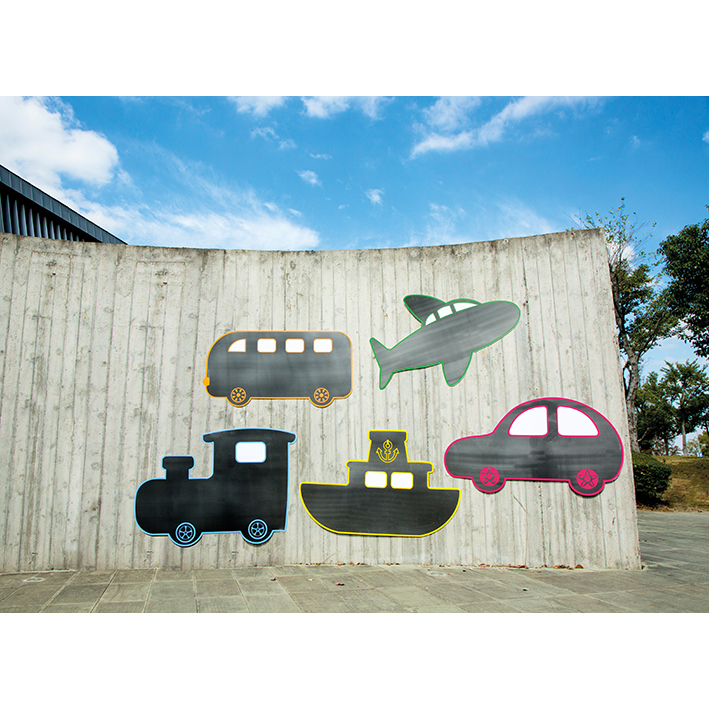 Plane, Train, Bus, Car and Boat make up this set. Supplied with suitable fittings for fence (ties) or wall mounting.